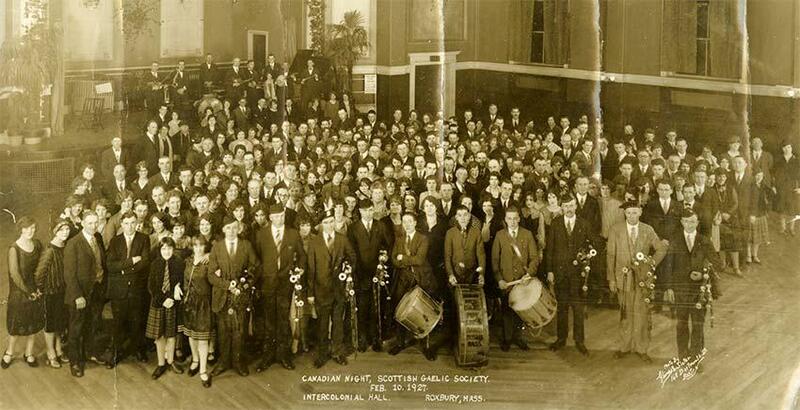 Item is a photograph of a "Canadian Night" event of the Scottish Gaelic Society, held on February 10, 1927 at the Intercolonial Hall in Roxbury, MA. Photograph by Glines and Slater, Boston, MA. Photograph was donated to the Beaton Institute Archives by Kay MacDonald.